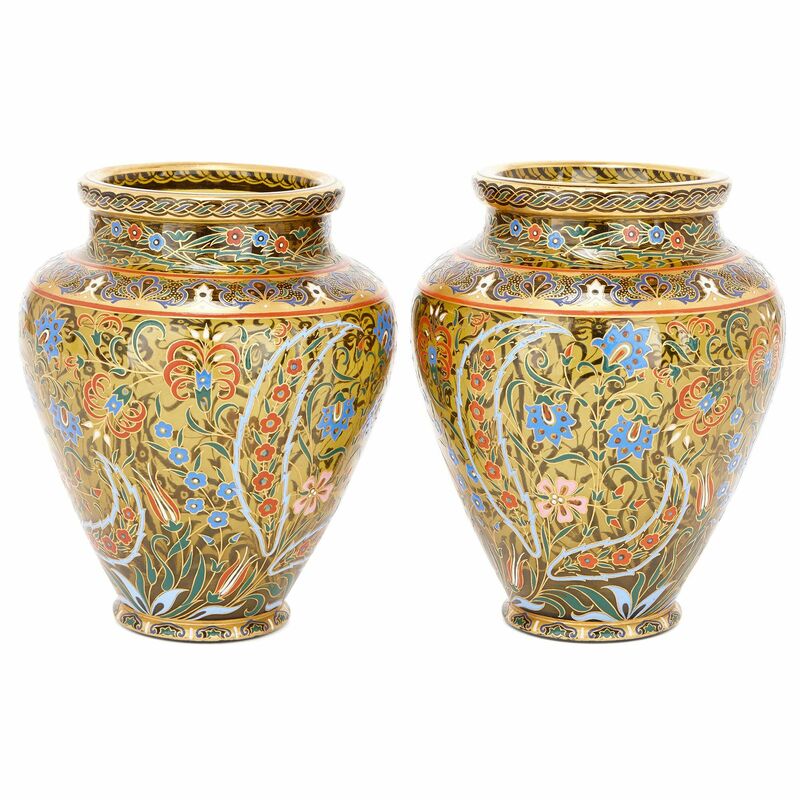 These exquisite antique vases are decorated in delicate Viennese enamel by Lobmeyr, and would make a beautiful addition to any well-curated collection. 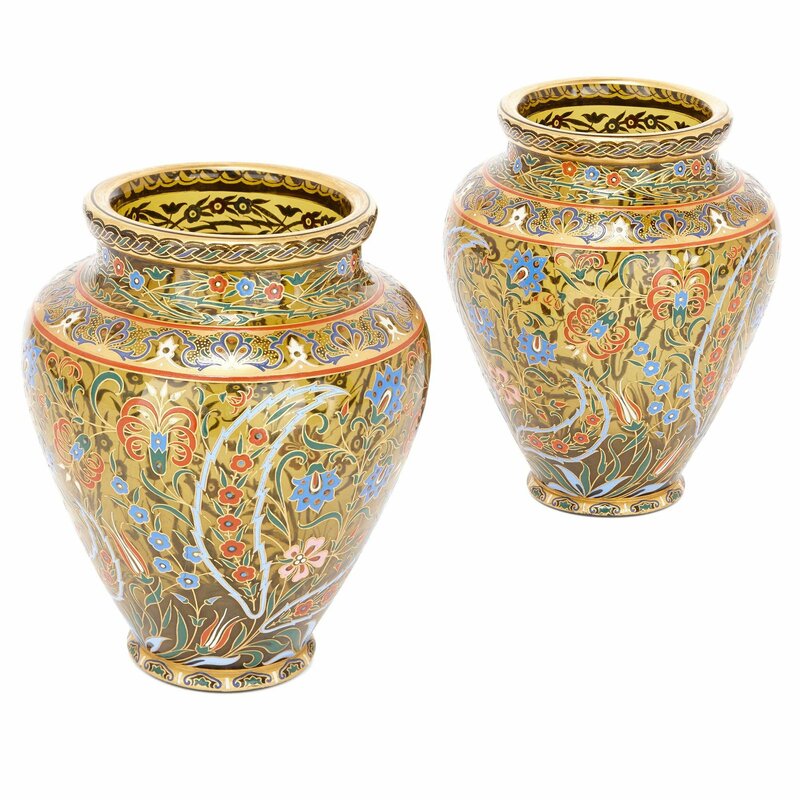 The pair of vases are of amphora form and are crafted of glass and decorated with enamel all over in the Moorish style as part of the 'Persian Series' which combined Oriental patterns with Viennese enameling. They were made by J. 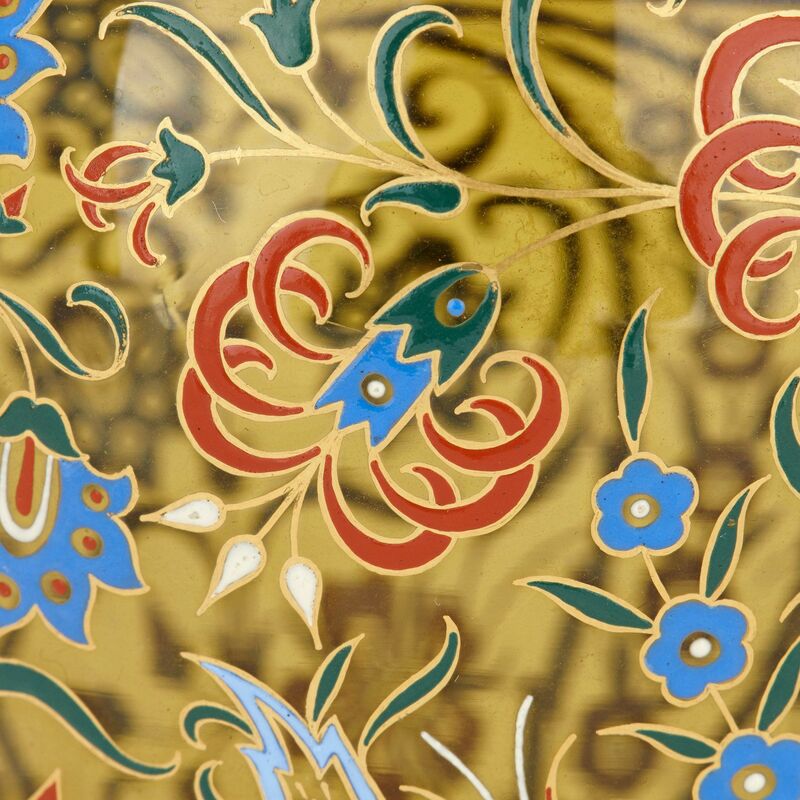 & L. Lobmeyr, a family glassware business established in Vienna, Austria, in 1823 by Josef Lobmeyr. 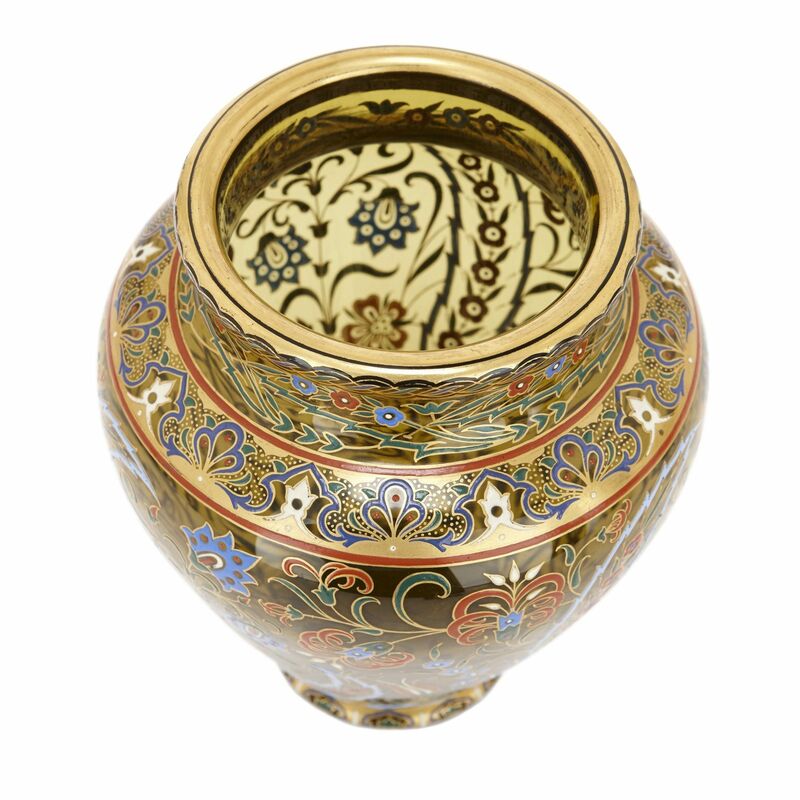 The vases are decorated with a base amber ground underneath the patterning all over. Around the circular bases is a repeating scrolled pattern of blue, green and purple scrolling shapes intersected with white dashes. 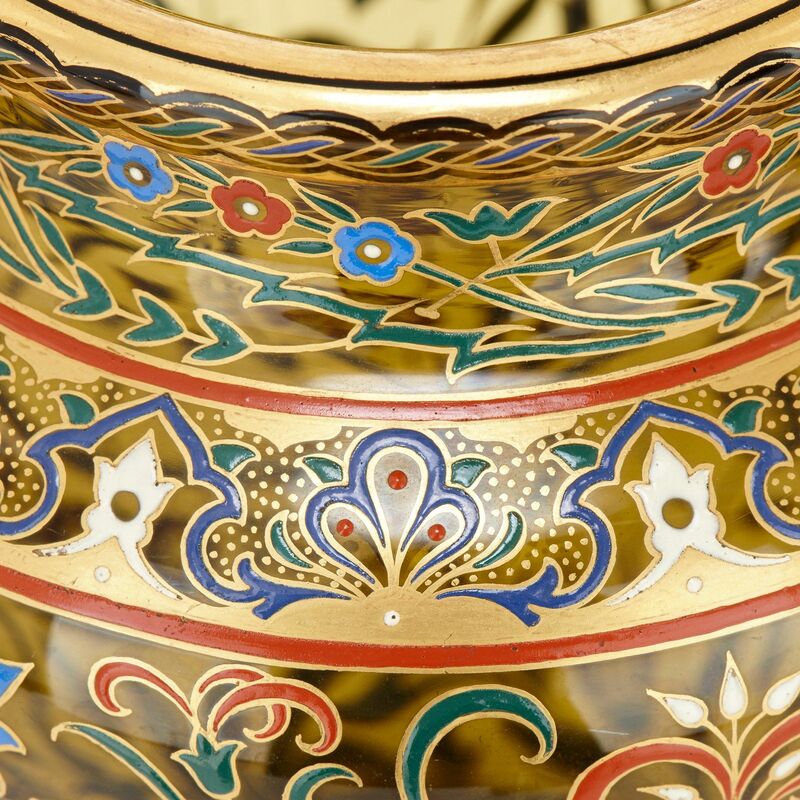 The amphora-form bodies of the vases are decorated all over with flowers and scrolling foliage in blue, red, green, white and pink with a banded frieze to the widest part. 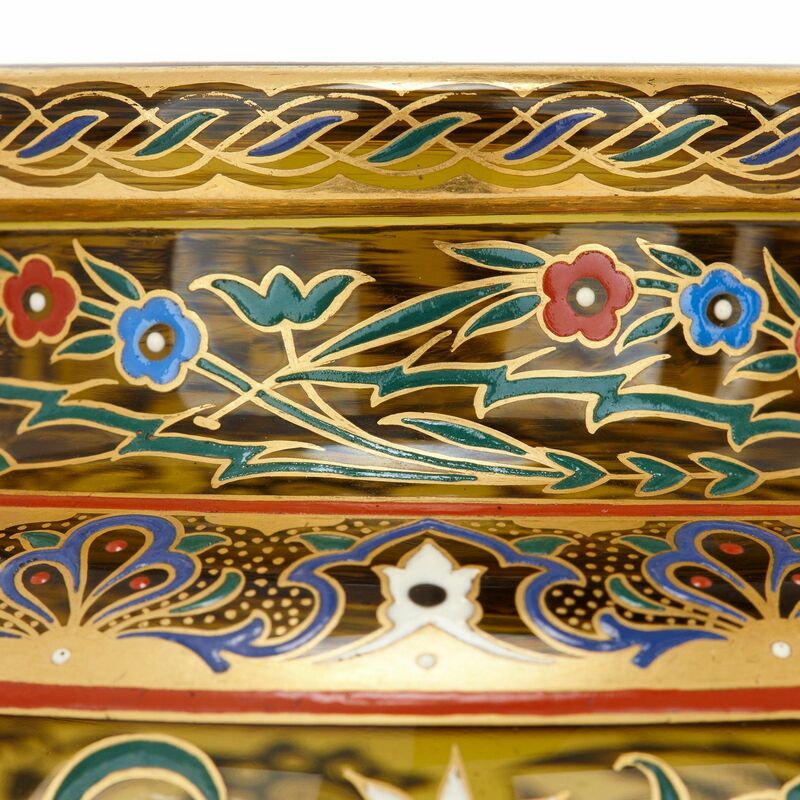 The necks of the vases are decorated with geometric plaiting, and the interior of the vases are enameled with bands of flowers and foliage. 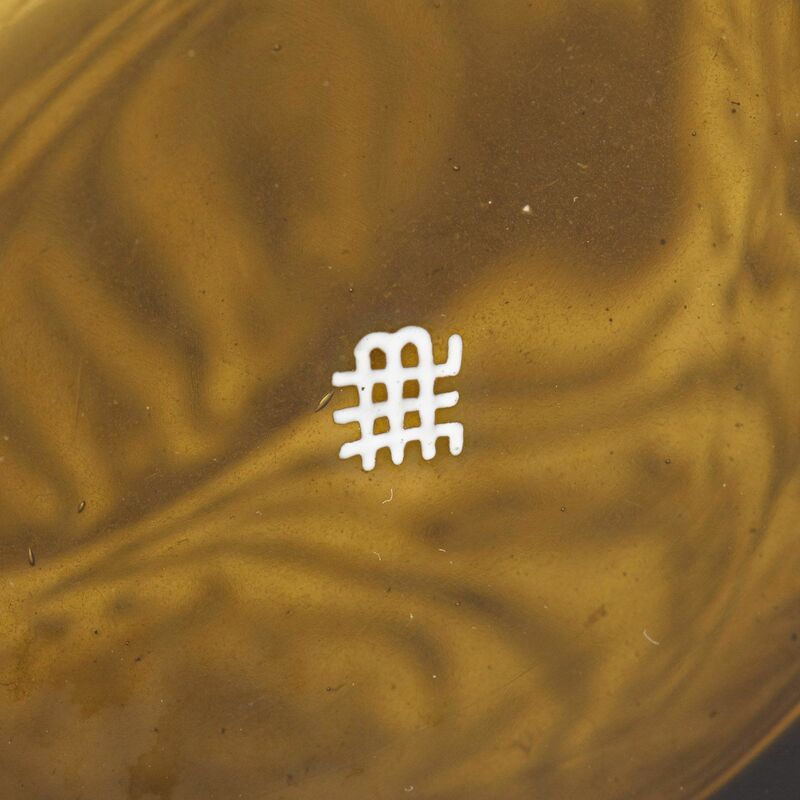 To the underside of each of the vases is the white enameled monogram mark of J. & L. Lobmeyr.